Since it’s Veteran’s Day in the USA, I am posting a recap of the story of Charles J Morabito, killed in the proximity of the Berga extermination camp in the last weeks of World War II, and whose temporary resting place appears in a relatively famous picture taken shortly after the war. 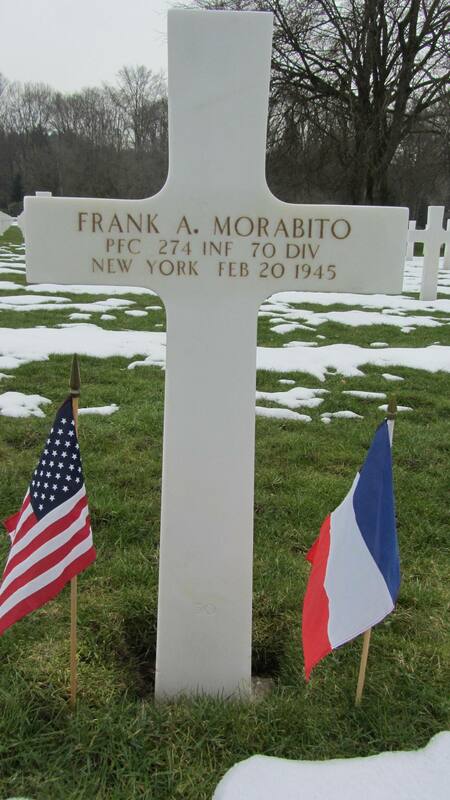 Plus I’ll mention brothers Anthony “Tony” F. Morabito and Frank A. Morabito, Purple Heart both of them, killed in action in December 1944 and February 1945 respectively and currently next to each other at the Épinal American Cemetery and Memorial, France. I feel particularly attached to these stories having researched them for more than four years before being able to collate some information. BTW I have had the privilege to visit Tony and Frank in France and plan to go see Charles as soon as I can arrange a trip to his cemetery in Cuyahoga County, OH. I will also travel one day to what remains in Berga. After many vicissitudes, the survivors of Berga were freed on April 18 (or 23), 1945. Histomil has more details. There are also a NatGeo video and pictures. Brother Tony lived probably in 4538 Hunting Valley Lane, Brecksville, OH 44141 with his wife, J.A. 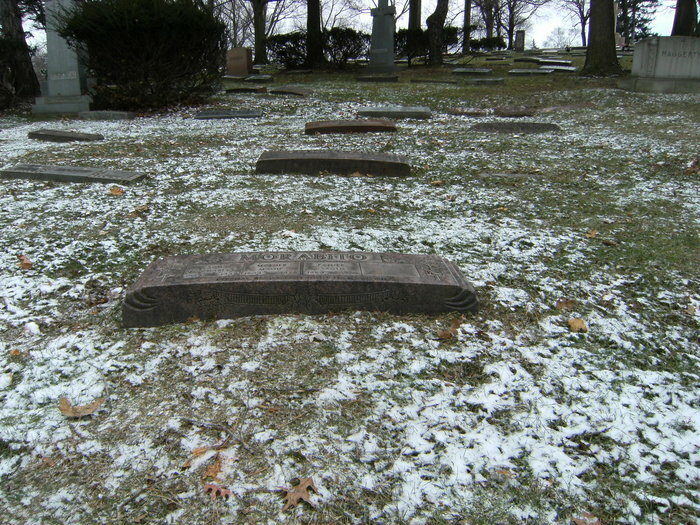 Descendants of Charles’ siblings: Anthony, Frances, Tina. 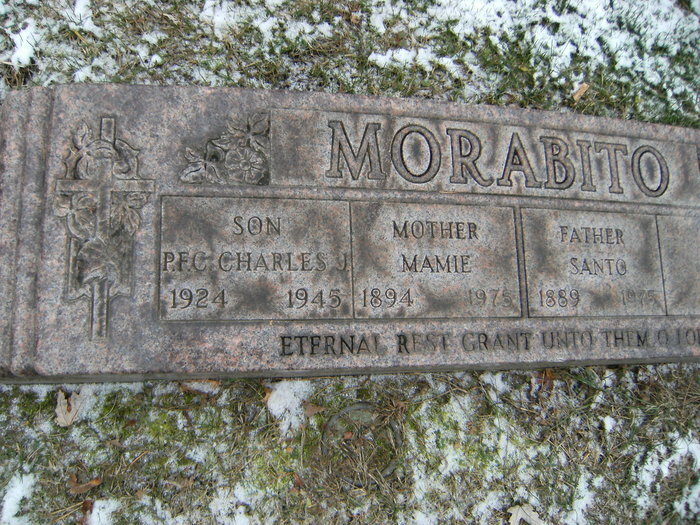 Maybe Lisa A Morabito, daughter of Tony. Sons of Frank Anthony Morabito and Maria Nicola Salvatore. Both ranked Private First Class, noted as mechanics, single, without dependents. They had at lest two brothers: Arthur Carmelo Morabito, veteran of WW II, Korea and Vietnam, retired a Lt. Colonel from the U.S. Air Force; and Joseph Bruno Morabito, veteran of WW II as a Tech. 5, 154th engineers and awarded four battle stars having seen combat in Peilelu, Saipan Leyte Gulf and Iwo Jima. Passa alcuni mesi in prigionia a Bad Orb, vicino Francoforte, con il numero 35050065. Figli dei fratelli e della sorella: Anthony, Frances, Tina. Forse Lisa A Morabito, figlia di Tony J.
Ciao Charles. Ti Ho Trovato. 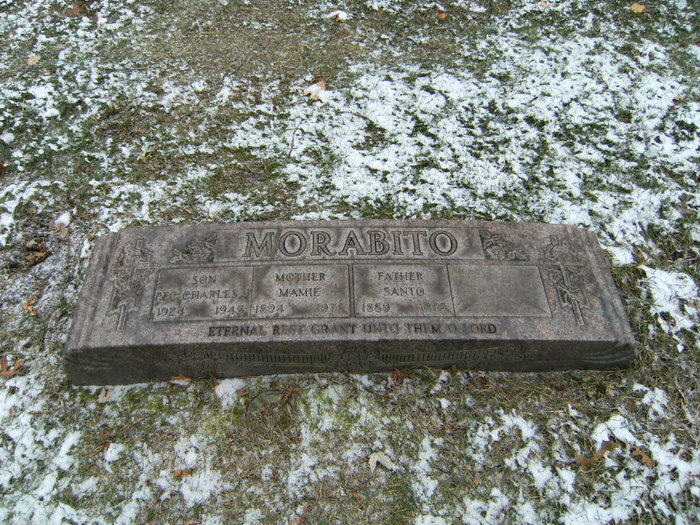 After more than four years of research, I have finally found the resting place of Charles J Morabito (1919-1945), killed during an escape attempt from the Berga extermination camp, around one month before (some of) his fellow prisoners were liberated. This has been quite an emotional event to say the least.